Who doesn’t love entering into a beautifully scented room? 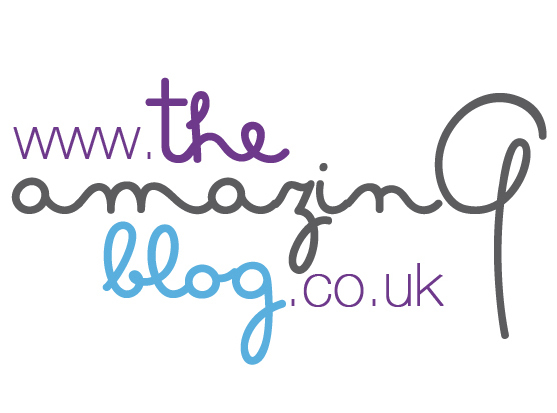 Here, at The Amazing Blog, we have a weakness for reed diffusers as they are safer and more versatile than candles. At this time of year, we want a room fragrance that has both warmth and freshness, this is where one of our favourite beauty and lifestyle brands Africology never fails us. Our regular readers will remember our post on their Rose Body Balm where we commented on their African heritage and how they capture the key flora and fauna of Africa in their ingredients. Africology has as range of five different fragranced Atmosphere Reed Diffuser sets. We tried the Coffee and Rose diffuser, which for us was absolutely delightful. From its simple, elegant packaging to its sophisticated tawny glass bottle design, it offers soft warm top floral notes combined with the rather interesting and more robust coffee ones, making it a more weighty fragrance and perfect for that heady romantic evening ambience. Apart from its elegant design that will complement any décor, this diffuser is long-lasting; we had ours on the go for at least 3 months! This diffuser is made from only 100% natural oils. It is very simple and easy to use, just open the bottle and place the diffuser reeds into the bottle until the reeds are fully coated with liquid. Wait about 5 minutes and take the reeds out and insert the opposite dry end of the reeds back into the diffuser. To enhance your home with this long-lasting and evocative fragrance, purchase the Africology Coffee and Rose Room Diffuser here for £45.00. Or at their newly opened London store here. Times, they are a-changin’…when once the saying “I’ve made a right dog’s dinner of that” would mean a less than appealing result, along comes Debora Robertson to firmly turn all such notions inside out. Even if you don’t have a pet pooch, we urge you to pick up her glorious book ‘Dogs’ Dinners’ and indulge yourself in some seriously compelling page turning. Not only has Debora brought a whole host of delicious recipes for our canine friends together, but she also gives us the option of how to tailor these taste bud tinglers to suit our humanoid palate too. First and foremost though, her book is written very much with our four-legged family members in mind - which is why our favourite fluffy English Show Cocker Spaniel Tilly was so happy to sit lapping up every page while we made our more leaden way through the Sunday papers over the weekend! And why not …? With recipes like ‘Turkey and Quinoa Meatballs’, ‘Liver Brownies’, and ‘Summer Pupsicles’ to ponder, there is much for Tilly to salivate over - as you can see, she has been thoroughly engrossed! Included are tips on how to deal with specific food intolerances; what to serve up should there be signs of a sensitive mouth or gums, and of course, like us, doggies can suffer from the occasional off day, but guess what - chicken broth works wonders for them too! It appears that when all is said and done, apart from some levels of seasoning, nosh-wise there isn’t much to divide us. To view this only as a collection of recipes, however, would be a mistake - there is a great deal more information contained within it’s covers, as to the healthiest way to feed your dog from their earliest puphood, through to the various stages of growing up. With advice on the ingredients which will keep teeth as healthy as possible, the ways to encourage fresh breath, and the more basic functions at the other end, Debora Robertson covers it all. She especially explore the essential knowledge of what NOT to offer up - we all know that chocolate and cooked bones are a total no-no, but avocados, unripe tomatoes and caffeine of any kind are also on the hazardous list. Fortunately for Tilly and her pals, there is a larder full of delicious goodies to make extensive use of, and Ms Robertson expertly shows us the way. ‘Dog’s Dinners’ is a fascinating mix of informed nutritional advice, intriguing anecdotes - check out “the bone about which we do not speak” on page 26 - and beautifully observed illustrations by Cinzia Zenocchini, which will sit perfectly alongside Delia and Nigella’s finest on the kitchen shelf. ‘Dogs’ Dinners’ by Debora Robertson is priced at £9.99 and is available here. We don’t know about you, but every so often we get the urge to flee the smoke and head to the country to get down and dirty. And if we can find a recreation that uplifts our spirts and occupies our hands - that’s even better! 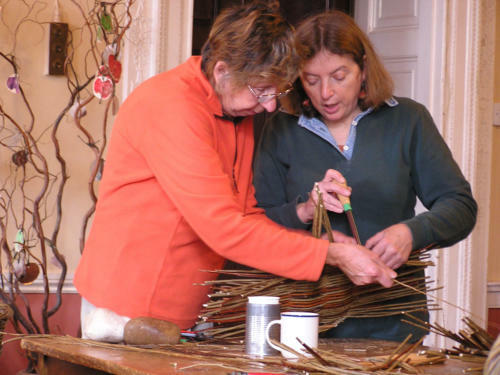 The Amazing Blog learned of a Willow Basket-making Course run by Jenny Pearce out in Herefordshire. Jenny, a Dublin native, has been a basket-maker since the early ‘90s. She honed her skills in the West of Ireland, England, and France. Nature primarily influences Jenny’s work, of which is based on Celtic and English regional designs. The course is run out of Canon Frome Court, a farming community. There, they host a number of different classes like basket-making; working with unstripped willow in a variety of colours and textures. The weekend will give you enough time to make a basket, and possibly a handle. This could be a basket to hold fruit and veg from farmer’s markets or perhaps to fit a potted plant. The airy look of baskets are darling inside and out. However, you’ll probably want to keep your basket out of the rain. We think that it’s very special to make something so versatile for yourself. This course is a weekend-long affair, running from 10:00-17:00 on November 3rd and 4th. The total cost is £155, which includes tuition, materials, refreshments, and a lovely lunch on both days. Accommodation is not included. See Jenny’s list of places to stay here. If you would like to spend a relaxing weekend in the countryside learning to make a basket with Jenny, book here.